There’s little doubt that training with power is much more complex than training with heart rate. Looking at your TrainingPeaks workout chart summary after a bike session with power meter may look like alphabet soup with abbreviations such as TSS®, NP®, VI, Pw:HR and more. Each of these has something to do with how well you performed on the ride that day. Sometimes a power meter can seem overwhelming. There’s certainly a lot to learn to be proficient with power-based training. To help you get started down the path to becoming more power knowledgeable I’d suggest you pick up a couple of books. One is mine—The Power Meter Handbook. This is a short introduction to training with power. The other is Training and Racing With a Power Meter by Hunter Allen and Andrew Coggan. It’s the bible of power-based training and can answer all of your questions on how it is done. So with a little reading and application to your own training there is no doubt you will eventually get a handle on all of the power terminology. But to help you get started I’d like to briefly explain what is, without doubt, the most important power metric. If you don’t understand this one and get it wrong then much of your other power data after a workout or race will also be wrong. 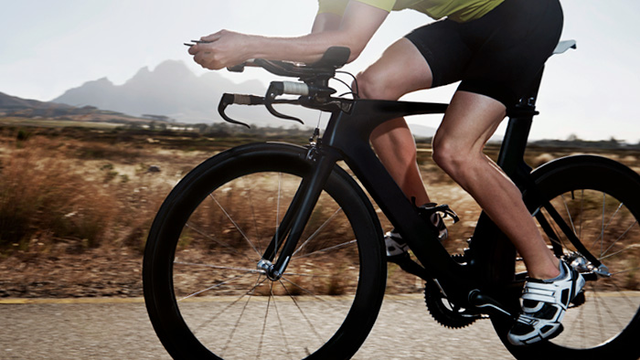 That most important power metric is called Functional Threshold Power, or FTP. Athletes often get it wrong. They don’t understand why their workout Training Stress Score® is so low after a ride. I get emails from riders almost weekly asking about that. It simply comes down to their not quite getting it right. A good example of this came from IRONMAN Hawaii a couple of years ago. TrainingPeaks had gotten permission from 13 pro triathletes to pull their cycling computers off of their bikes as soon as they finished so their bike could be analyzed and posted online while the race was still going on. What we found was that 8 of the 13 had obviously inaccurate FTPs. Most were set too low. If pros get it wrong there’s little doubt that many of us are getting bad data also. So what is FTP and how can you ensure it’s right? Functional Threshold Power is defined as the greatest mean maximal power you can currently produce for one hour. Notice the word currently. FTP is a moving target that is constantly changing, which undoubtedly is why so many pros got theirs wrong. The fact that it changes is actually a good thing because FTP reflects your bike fitness and thus serves as a good marker of how your training is going, especially at this time of year. When your FTP is rising the training is going well. When it’s falling something is wrong. With challenging and focused training your aerobic fitness should measurably increase every few weeks. This is especially true early in the season. Once you’re in to the heart of your race season the changes are likely to be much smaller. In the Base period it’s a good idea to test your FTP progress about every 6 to 8 weeks since that’s about how long it takes to realize measurable fitness gains. So how do you measure FTP? Even though it’s the highest power you can sustain for an hour it’s not a good idea to do a one-hour time trial as a workout. Motivation will be the limiting factor. It takes something like a gun to the head to motivate someone to work at a maximal effort for that long. Why? Because there’s no one at the finish line who will record your time, congratulate you, pat you on the back, ask why you were so slow, compare you with other riders or hand you an award. Nor will your name be in the newspaper. So a one-hour, solo test in a workout is a sure way to get bad data. It’ll be much lower than what you are capable of doing. If there is a local 40-km time trial you can do, however, you are likely to finish in the ballpark of an hour so that would be the gold standard. Your average power for a one-hour race would be a near perfect indicator of your FTP. But if there aren’t any one-hour races every 6 to 8 weeks what do you do? The most common field test for finding FTP is a 20-minute, steady-state ride done at maximal effort. It should be treated as a race, so be rested for it. A hard 20 minutes is doable even if your motivation isn’t race-like. The biggest mistake athletes make in doing this test is starting out much too fast for about 5 minutes and then fading over the next 15 minutes. It’s far better to start at what seems like a relatively easy effort and then every 5 minutes take stock of how you are doing and increase or decrease the effort accordingly. The more times you do this test the better you will become at pacing it. Once you’ve finished the 20-minute field test and downloaded the data look to see what your average power (not “Normalized Power”) was. Subtract 5% from it and you have an estimate of what your FTP currently is. There’s that word currently again. You must check your FTP in a similar manner every few weeks to see what’s happening to it. Early in the season it will undoubtedly rise if your training has been going well. Late in the year after your last race it will likely go down. Adjustments need to be made accordingly throughout the year. You can also set up your TrainingPeaks account to notify you of changes in your FTP based on workout and race data you post. For more information on how TrainingPeaks determines a threshold increase is needed see this article. Every time your FTP changes your zones also need to change so that training intensities match your current level of fitness. FTP changes also affect the intensities at which you are capable of racing relative to race duration. Besides TSS, your Intensity Factor® (IF®) and Performance Management Chart (PMC) are also based on FTP. Until you get all of this power measurement stuff figured out, which you will, just make sure for now that your FTP is always correct and that will ensure that you have valid data on which to base your training.